Pashupati Cotspin is engaged in the business of processing of Kapas (raw cotton) by way of Ginning of cotton, spinning of cotton yarn and delineating Process. The products manufactured at our Company include Cotton bales, Cotton yarn and Black Cotton seeds (Delineate Seeds). By setting up of the Ginning and Spinning unit our Company has entered into a forward integration of the Textile industry by manufacturing of cotton yarn to cope up with the changes in the fashion consciousness, development in the cotton textile sector and synchronizing with the initiatives provided by the Central and the state Government. The manufacturing facility of our Company is situated at Kadi of Mahesana District in Gujarat state which is close to the rich cotton growing areas of Maharashtra and Saurashtra (region) of Gujarat. The company has established a capacity of the spindlage of total 25536 spindle, and 56 ginning units. Our plant is equipped with modern and automatic plant and machinery. The level of advancement determines the productivity of machines and labor, which in turn, determines the production and profitability of our Company. Our technical team in spinning is well equipped with modern spinning technology and processing techniques by virtue of which we are able to ensure quality yarn. Technology is a crucial aspect of the cotton yarn industry. Our Company is also using the storage space available with us for the purpose of letting it out to customers and thereby earning lease rentals as consideration. 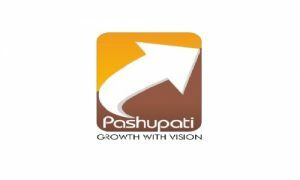 Pashupati Cotspin IPO allotment status is now available on Sharex Dynamic's website. Click on this link to get allotment status. Ipo allotment pashupati cotspin 1600 share allotment rs.75 total amount 120000. But 2 month no share only 74 or 74.50 rupess no buyer or no smaller so company close. Please answer my email Id. And what target in November 2017. Month please inform my email id. Where to trade Pashupati Cotspin, as SME IPO are not listed in NSE or BSE ? I want.to know that the present debt of your company.So I can study the comerative analysis. Is it good to apply for an IPO of Pashupati cotspin.